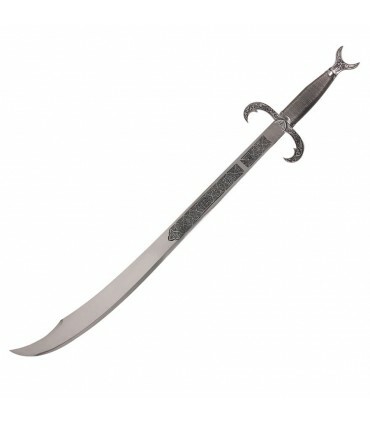 Arab swords There are 24 products. 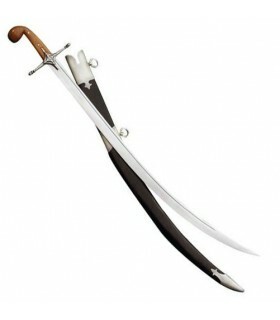 Scimitars or Arab sabers with long curved blade originating in Persia and India and also used in the Middle Ages. 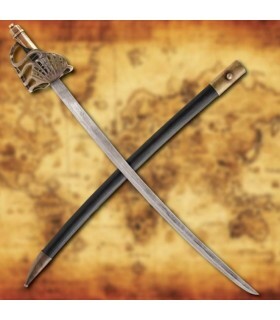 The Kabila is an Arabian sword with the hilt like the jineta and the blade like the scimitar. Similar to a Gumia but longer. Swords Jaretas Nazarí type used by the Muslims in the Spanish conquest. 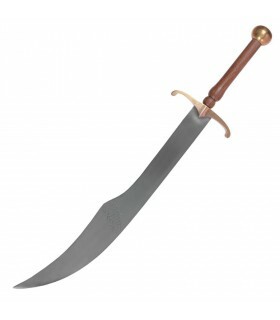 The typical Arabian Sword is a sword with a curved blade, one hand and a single edge. 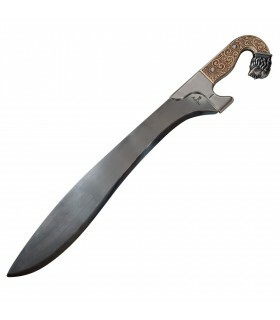 Falcata Dragon with steel blade. With knife and wooden finnish sheath. Sword Arabic decorated, 84 cms. 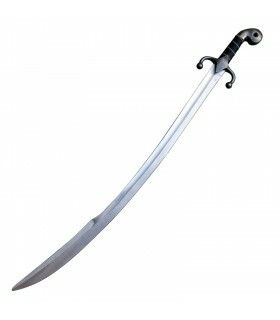 Sword Arabic stainless steel sheet, 84 cms. Handle and knob, round, decorated and glazed with arab motifs. This falcata sword is the early inhabitants of the Iberian peninsula. It is therefore a reproduction of a tool of our ancestors. With this sword of military origin are fought in battles of the time. The revolutionary design of the blade adapted to penetrate horizontal, has not been repeated in history, but has functionality beyond doubt. Sword Falcata typical Iberians and Celts. 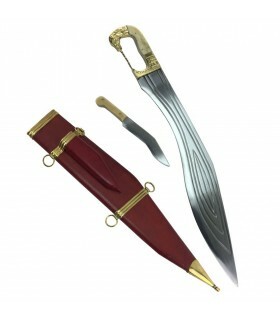 It is similar to the Greek Kopis and Nepal Khukri sword. 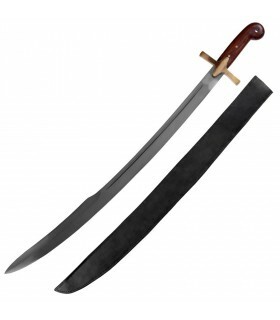 This falcata is a replica of 400-300 AC The blade is carbon steel. brassed handle with the figure of a horse. It includes wooden sheath and knife wrapped in leather. Iberian Falcata decorative made of Toledo-Spain by Marto. Stainless steel blade and handle decorated. 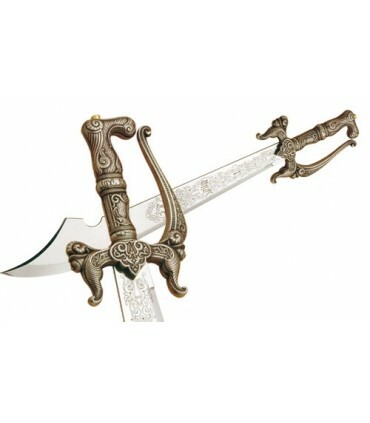 The Arabian Swords are characterized by their particular design, their blade (straight or curve) and the handle (with arabic symbols). 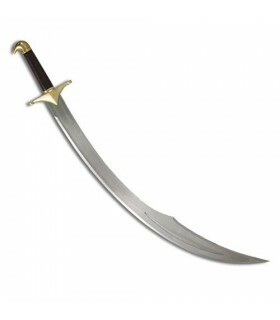 The classic arabic sword is curved like, for example, the scimitar. 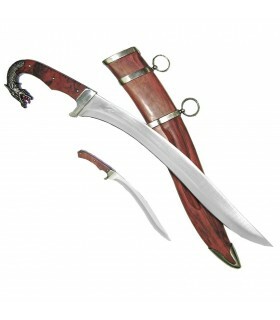 Scimitar: sword from Persia and also used in India between the XIII and the XIV centuries. 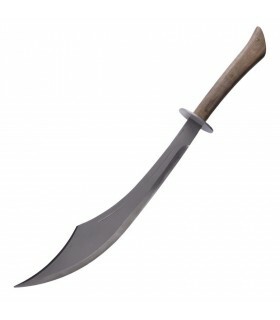 Kabila: is an hybrid between the Jineta sword and scimitar. 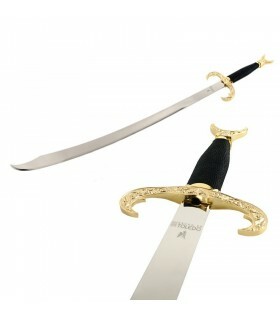 Cutlass: curved blade sword, it's long and with just a cutting edge. 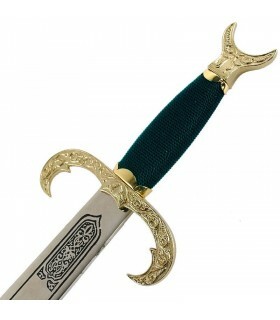 Jineta: nasrid sword. It's streight and double edged. 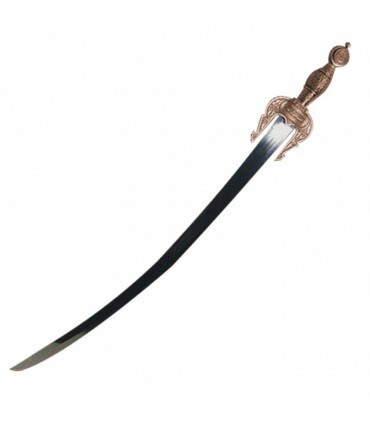 Talwar: indian sabre with a cutting edge and curved blade. 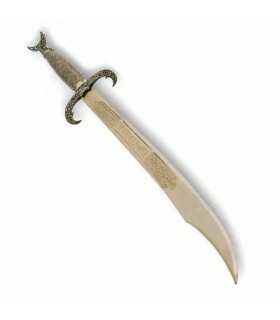 Falcata: iberian sword used from the iberian and celtics. 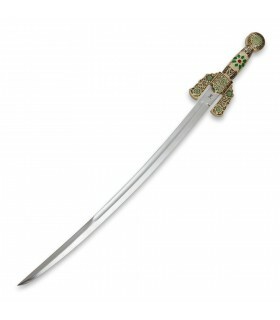 The arabic swords, nowadais, are just decorative masterpieces for collectors, but also a symbol for some armies. In this moment, we applied discounts on some of the arabic swords in the catalog, with incredible prices.